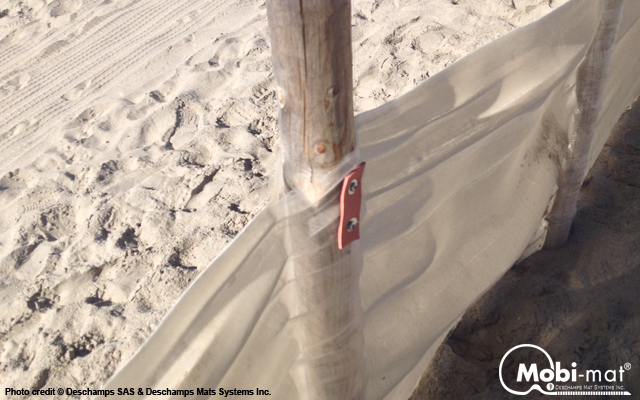 DESCHAMPS BIO Sand Fencing - Mobi-Mat by DMS Inc.
DESCHAMPS’ BIO Sand Fencing is an innovative 100% biodegradable and compostable Multilayer Textile Sand Fence. 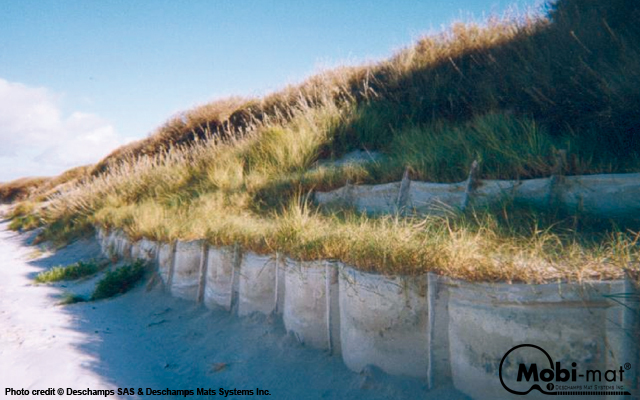 With 150 years of experience in Technical Textiles, our vision is to leave a cleaner world for future generation and offer our customers added value through sustainable biodegradable textile solutions for beach renourishment and dune reinforcement. 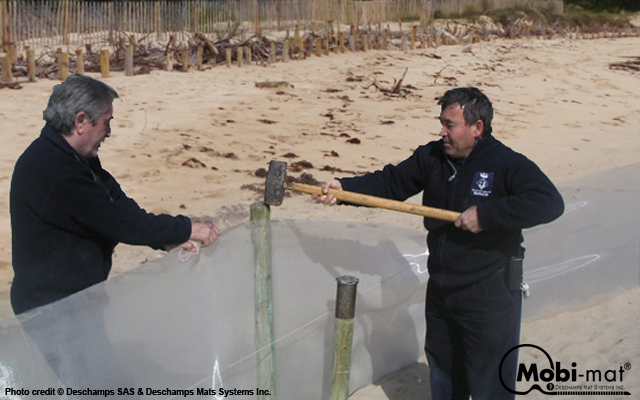 DESCHAMPS BIO SAND FENCING is made from a patent pending 100% Biodegradable monofilament, certified by the USDA as a combination of 100% biodegradable co-polyester with bio-additives and natural renewable resources. 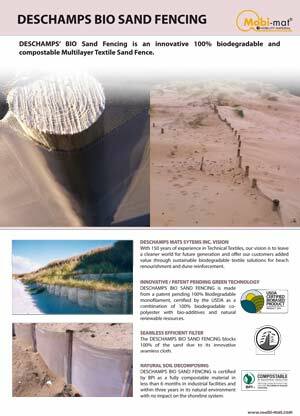 The DESCHAMPS BIO SAND FENCING blocks 100% of the sand due to its innovative seamless cloth. 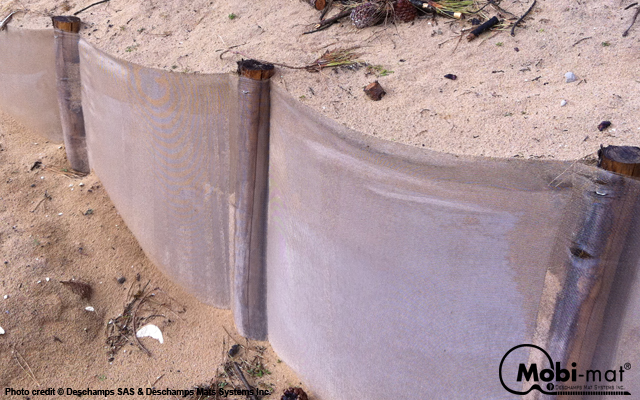 DESCHAMPS BIO SAND FENCING is certified by BPI as a fully compostable material in less than 6 months in industrial facilities and within three years in its natural environment with no impact on the shoreline system. 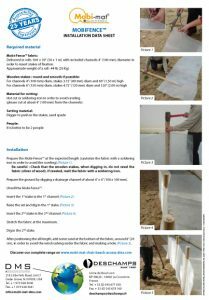 There are pockets included in the fabric for sliding the posts and installing the BIO SAND FENCING along the base of an eroded dune or perpendicular to trp windblown sand and help rebuild the dune. Time for setting lies in time for digging in the posts. 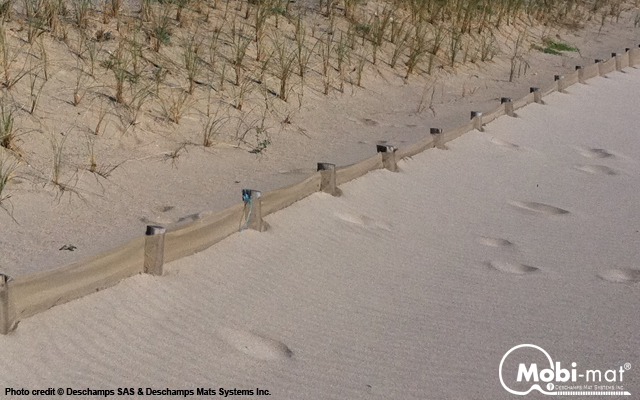 After two years of installation, once the dune is built, DESCHAMPS BIO SAND FENCING will slowly start decomposing, with a progressive decrease of its original properties.